Looking for cheap and free days out with the kids over the Summer Holidays? How about embarking upon the Stick Man Trail which is taking place at various locations around the UK. 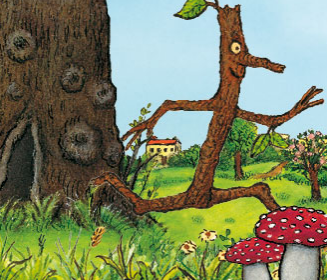 Stick Man has arrived in the forest! Explore the amazing Stick Man adventure trails, or download our exciting Stick Man Games activity pack. Stick with us this season and enjoy lots of great value family days out. Discover twiggy trails, giant Gruffalos and much more! If you visit the forest regularly check out our annual forest Discovery Pass to make your visits even better value. The trail is open from 5 December 2015 at various UK Locations. It is aimed at younger children, but the whole family can enjoy finding the trail panels and completing fun activities as they go. No booking is required*.